For over 30 years, I’ve worked with survivors of trauma: sexual abuse, domestic violence, child sexual, physical abuse, natural disasters, accidents and medical traumas. My interest in trauma led me to become trained and certified in EMDR, which I have been using in my practice since l994.I’m also trained in Somatic Experiencing (SE), a body-oriented psychotherapy approach to working with both shock and developmental trauma, focusing on regulating the nervous system. I am also trained in The Trauma Resiliency Model (TRM) which grew out of Somatic Experiencing but puts a lot of focus on resiliency. I have developed a specialty in working with couples, both straight and gay. I have worked with many parents and their adult children, facilitating healing of past hurts and estrangements. I have always been interested in how people navigate diversity in themselves and their relationships. I’ve also been incorporating mindfulness training, yoga and Buddhist meditation practice into my work. My interest in trauma resolution, parent-child relationship strengthening, school/ work/ behavioral problems and addiction have led me to deepen my exploration of the impact of difficulties in attachment and the nervous system and the brain. My recent influences have been Peter Levine, Heather Forbes, Gabor Mate, Gordon Neufeld, Elaine Karras Miller and David Grand. After graduating with a Masters in Social Work from the University of Southern California in 1984. 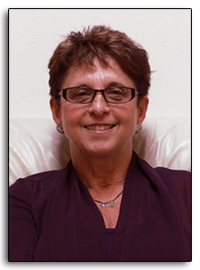 I became director of the Family Violence Project of Jewish Family Service of Los Angeles, where I developed and supervised programs for battered women, batterers and children growing up in violent homes. At the UCLA Trauma Psychiatry Service, I provided therapy for adult survivors of all kinds of trauma. I have served on the advisory board of Peace Over Violence (formerly LA Commission on Assaults Against Women, LACAAW) for many years. I have years of experience teaching self-defense for women and hold a black belt in karate. I have trained both professionals and paraprofessionals in domestic violence and taught graduate-level courses on domestic violence.